I was doing some research on Evangelical Catholicism for a paper -- which by the way if you know any good sources for the topic please pass them along, as the info on Evangelical Catholicism I am finding is sparse and not adequate. 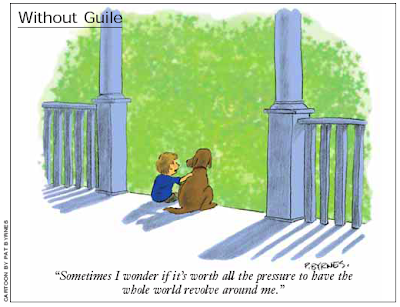 Anyway, I was using the ND journal search engine and I received several hits from the magazine America, on the same page as the article was this cartoon. Oh the article was unhelpful, but cartoon made me laugh. PS. The pressure of the world revolving around Christ made him sweat blood. Do you think you could do better?